The competition watchdog has approved commitments by the State broadcaster – which had been accused by TV3 of selling adverts inappropriately. RTÉ HAS BEEN given the green light by the competition watchdog after promising to change the way it sold advertising, following a dispute with TV3. The State broadcaster had been accused of anti-competitive practices by its independent rival, which made a complaint to the Competition Authority and threatened to seek damages. TV3 said at the time it may have lost more than €30million due to RTÉ’s actions. The dispute arose over RTÉ’s “share deal” selling technique, under which advertisers received discounts if they dedicated more of their total promotional spend to RTÉ. 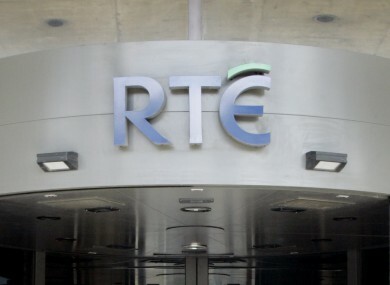 The Competition Authority stated in its decision that it was “concerned” that the practice constituted abuse of RTÉ’s dominant position in the market. However, Montrose executives agreed in October to alter the practice after what they called a “strategic business review”. The Authority is satisfied that the undertakings [by RTÉ] address its concerns. RTÉ has welcomed the decision, saying its move away from the share deal scheme was “part of a broader review”. Email “RTÉ gets green light in advertising dispute with TV3”. Feedback on “RTÉ gets green light in advertising dispute with TV3”.